Spatial Insights provides innovative project consulting and mapping services, mapping software, training, and customized GIS data and software products to clients throughout the world. 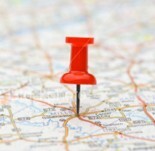 Let us help you "put your business on the map!" SGSI, Inc. offers robust software applications designed to work with MapInfo Professional and other Pitney Bowes Software location intelligence products to make your market analysis and decision support even more dynamic.